it's the month spring comes, bye bye winter, hello sunshine! * very fragrant jasmine, love it! Hi Anita, what a lovely flowers!!!! Good luck with your herbal infused oil with fresh herbs. If you allow me a suggestion about it :from my own experience, should left them a very short time in oil (1 week-10 days). Fresh flowers breaks down quickly in any form of liquid. Please tell us about this experience. Oh Claudia, I really appreciate your kind suggestion! I was thinking to infuse those flowers for 3 weeks or so but I found some flowers start turnning brown(?!) and it's just 3 days past! Not sure if this is normal but I will keep an eye on it, and follow your experience, to steep for 1 week and see how's it going. Hi Anita! I have been waiting for you to be back to blogging! Your garden is so beautiful! 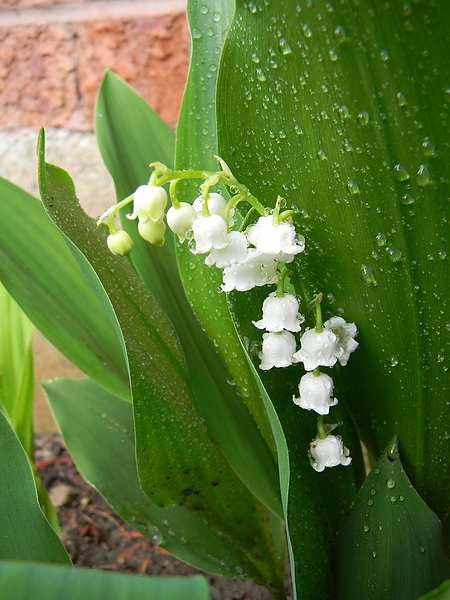 I love lily of the valley!